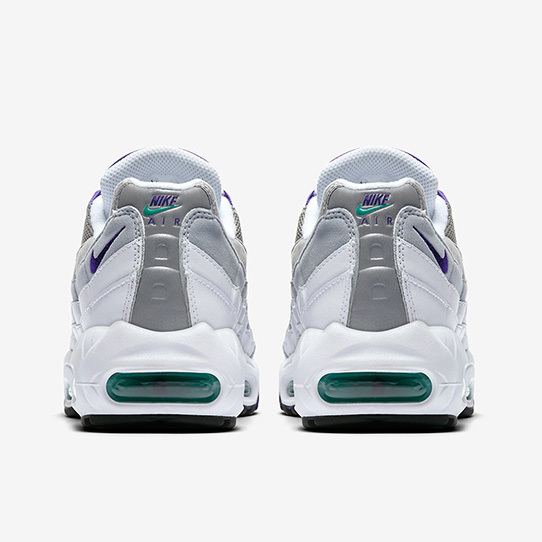 Nike’s plans to re-release original versions of its heralded Air Max classics are almost always met with open arms from eager fans. 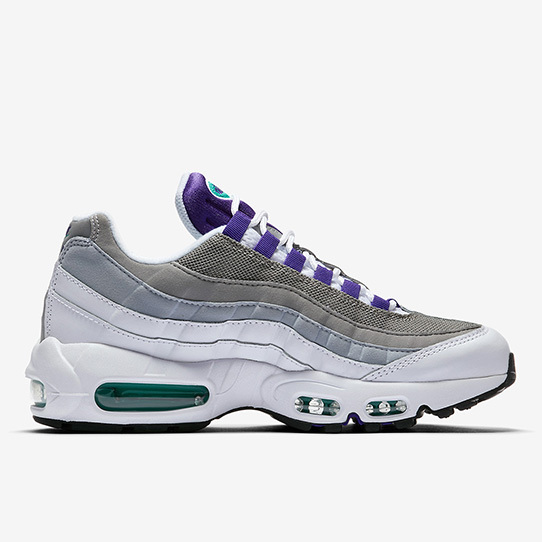 Today, one of the all-time great women’s shoes hit shelves once again straight from 1995. 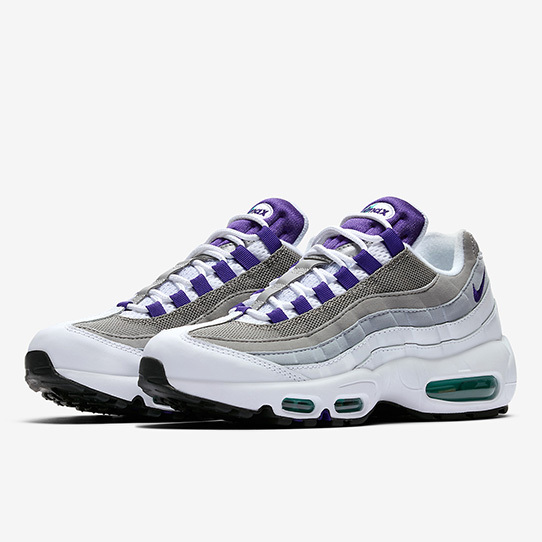 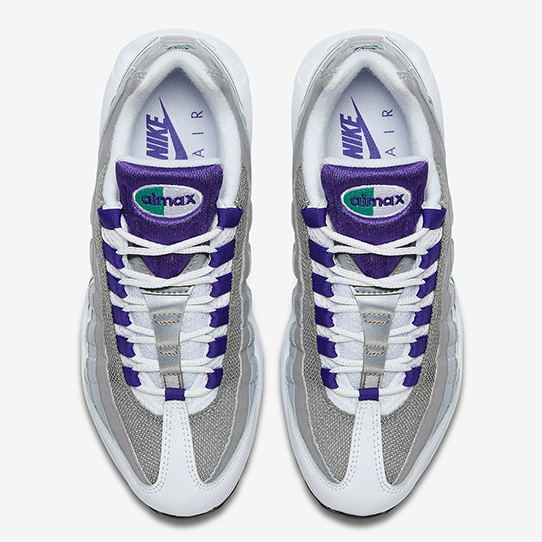 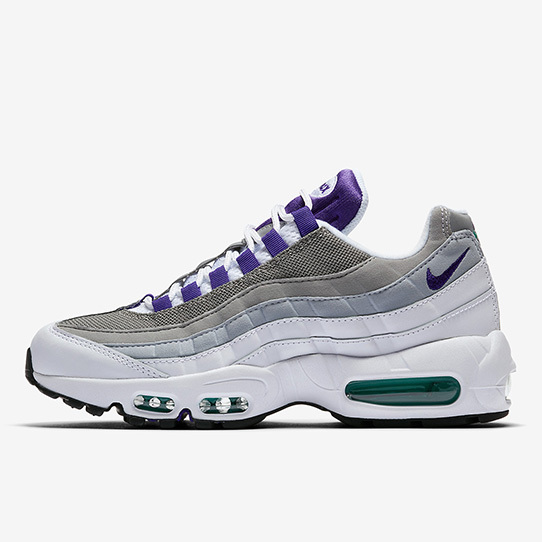 If you haven’t guessed yet, the shoe we’re talking about is the Air Max 95 “Grape” that went on to be the color inspiration for a number of notable Swoosh Brand selections. 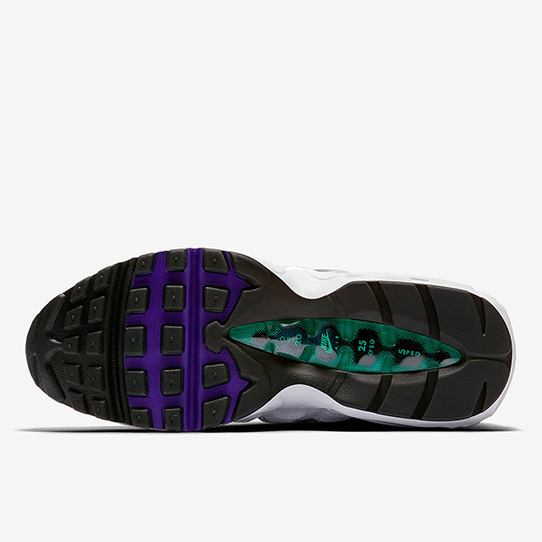 Equipped with Court Purple and Emerald Green accents, this part of Nike history meant for the ladies utilizes a gradient pattern on its midfoot stripes while its toe cap and sole unit come in a stark white.